The client did not have a website & we were given a free rein with design & content. The aim was to keep the website clean & friendly, yet professional. 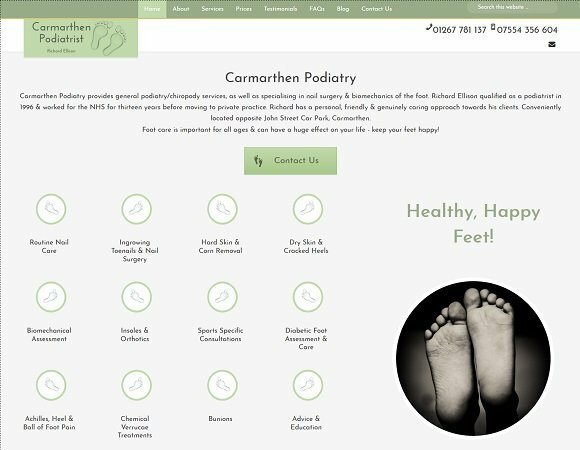 It was important to portray Richard's expertise as a podiatrist & to target the local area. 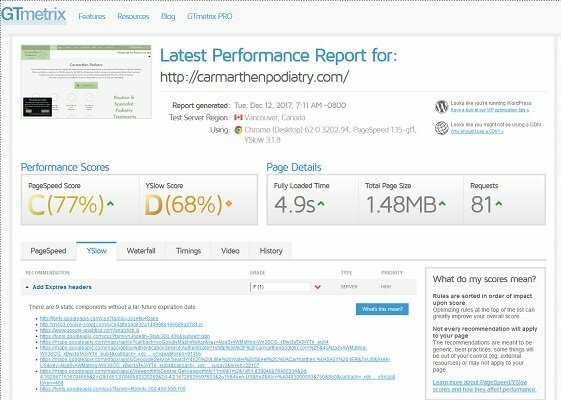 The website has potential to grow with the Blog, which could pull in useful traffic from people searching for answers to common foot complaints. Not one of our better scoring websites but the main culprit slowing things down is the large google map. We felt this was necessary for potential clients to view the clinic's convenient location in Carmarthen. The feedback (see below testimonial) we've received from Richard Ellison, the owner, seems to have justified this as he feels that patient numbers have increased significantly. So, overall, we are happy with how the website is performing for users if not for page speed analysers!